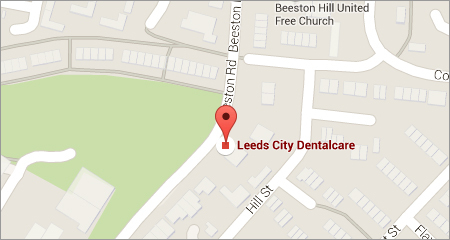 At Leeds City Dentalcare we offer a comprehensive range of dental treatments and services for patients of all ages. A. Cosmetic Dentistry is the ultimate mixture of art and dental science. These procedures endeavour to create beautiful, aesthetically pleasing smiles; utilising the latest restorative technologies and materials. Q. What are the benefits of Cosmetic Dental treatment? Q. Who is a candidate for Cosmetic Dental treatment? A. Not so many years ago, little could be done to attain the smile you always dreamed of. The treatments available to treat chipped, stained or crooked teeth were limited. However, today with the vast range of Cosmetic Dental treatments available, every smile can be aesthetically enhanced opening up a whole new world of opportunities to our patients. Q. What is the most popular Cosmetic Dental treatment undergone by patients? 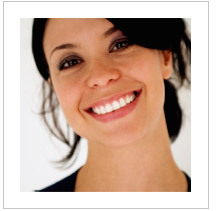 A. Tooth Whitening is probably the most popular Cosmetic procedure available today. Tooth Whitening can be the quickest, most effective way to enhance the appearance of your smile. Lightening teeth a few shades can help to reverse the effects of aging and discolouration and transform the way you look. Q. What are some of the results Cosmetic Dental treatment can achieve? Q. What can I do to improve the health and appearance of my smile? A. If your teeth become damaged, lost or simply worn over time, there are a number of options available these days to treat these problems. If teeth are lost, then Implants, Dentures or Bridges may be an option for you. If a tooth needs rebuilding, then Crowns, Inlays or Onlays could be the solution, particularly the latest CEREC™ treatments which have revolutionised dentistry as we know it. For cosmetic changes, Tooth Whitening, Veneers and Composite Bonding are amongst some of the treatments that you could consider. Q. I have bad breath, what can I do? A. A healthy mouth means fresh breath! Bad breath can make you feel embarrassed and place strain on relationships. The main culprit behind bad breath is bacteria! Our mouths contain millions and millions of bacteria, which can quite easily get out of control. Plaque, tartar, gum disease, tooth decay, dentures and your tongue are all places where bacteria can thrive. Approximately 50% of oral bacteria can be eliminated through brushing your tongue daily with a soft toothbrush or tongue scraper. Breath Fresheners and Mouthwash can also help to eliminate bad breath. Attend a check-up with one of our dentists to determine the cause of your bad breath ( the cause may be tartar, gum disease, tooth decay or occasionally a problem with your general wellbeing). We will then be able to identify and treat the cause of your bad breath.